An exhibition celebrating Black role models and icons, will open at the International Slavery Museum from 13 May – 11 December 2016. 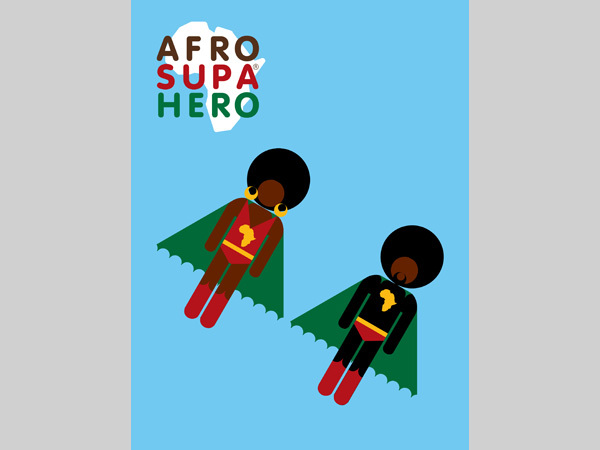 Afro Supa Hero explores the importance of role models and icons in combating the legacies of racism and discrimination, providing a snapshot of a childhood journey to adulthood, shown through Jon Daniel’s personal collection of pop cultural heroes and heroines of the African diaspora. The exhibition will offer an insight into the experiences of a boy of African Caribbean heritage, on a search for his identity in the south west London of the 1960s and 70s. Now an award-winning, independent creative director, Jon in his late twenties, began collecting comics, games and action figures featuring positive Black role models of history and fiction, feeling that they most strongly embodied the era of his childhood and his search for identity. There are more than 100 pieces in the collection today, collected over 22 years. Jon Daniel said: “Growing up in suburban Britain at that time, there weren’t many positive Black role models or cultural icons to identify with. Instead, I looked to the African Caribbean culture of my family, and the African American culture of the US. “Due to many contributing factors, logistically, financially and geographically I was unable to indulge in my passion for collecting as a child. So what was the catalyst? Well, primarily it was down to an article in an issue of the now defunct youth culture magazine, ‘The Face’ around 1994. It was within their pages that I first set eyes on a Malcolm X action figure created by Olmec Toys in New York. “It sparked a series of emotions in me, which had been bubbling away for a while. There was a lot of focus on Malcolm X iconography in the early 1990’s encapsulated primarily through the music of legendary hip hop group, Public Enemy and the films and merchandising of Spike Lee. I myself had previously designed T-shirts honouring the 25th anniversary of Malcolm X’s death, which I sold at the Notting Hill Carnival in 1990 and a few select stores around London”. 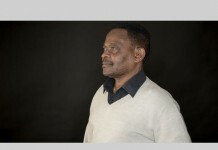 Dr Richard Benjamin, Head of the International Slavery Museum said: “The Museum’s Legacy gallery looks at the legacies of slavery and enslavement in the modern world and covers the complexities and development of racism and discrimination. This includes racist caricatures and stereotypes and that is why Afro Supa Hero is important as it celebrates Black role models and iconography in popular culture which are important factors when challenging issues such as racism and discrimination”. In the exhibition, real-life icons Muhammad Ali, Dr. Martin Luther King, Jr and Nelson Mandela stand alongside Mr T and Lieutenant Uhura. Also on show are games, and comics including The Golden Legacy series, first published in 1966, featuring real-life icons from history, including Harriet Tubman, the African American Abolitionist and civil rights activist born into slavery and who escaped, and helped others to escape, using the Underground Railroad. Stephen Carl Lokko, Curator, International Slavery Museum said: “Figures of Marvel characters including Luke Cage and The Falcon, will also feature in the exhibition. This is ahead of a new Marvel film featuring The Falcon and a new TV series featuring Luke Cage due to be released in 2016, which means the exhibition is both retrospective and bang up to date. Local visitors and Red Dwarf fans may also be pleased to find a Liverpool connection as there’s copy of the ‘Smegazine’ and an action figure of Dave Lister, both on display for the first time”. The International Slavery Museum highlights the international importance of enslavement and slavery, both in a historic and modern context. Working in partnership with other organisations with a focus on freedom and enslavement, the Museum provides opportunities for greater awareness and understanding of the legacies of slavery today. This includes highlighting positive Black role models from history and popular culture. The opening date of Afro Supa Hero coincides with the launch of Liverpool’s Light Night 2016. The Museum will be open late to mark this special occasion, and Light Night visitors will be among the first people in the city to see this unique and inspirational exhibition. From 6 – 7pm Jon Daniel is walking through some of his favourite pieces in Afro Supa Hero, to celebrate the opening of the exhibition. Afro Supa® is a registered trademark owned by Jon Daniel. All Rights Reserved.